UIDAI (Unique Identification Authority of India) who is the issuer of 12 – digit Unique Identification Number on behalf of the government, has modified the online tools where the Aadhaar card holders could update their basic details online. However, in the new changes made by the UIDAI, Aadhaar holders can only update their address online or by post. Only address can be updated online by post with effect from October 20, 2017, the UIDAI said on a micro blogging site, Twitter. Hence, people now cannot change or update other details such as name, date of birth, mobile number and email address online, they will have to visit the ‘Aadhaar Kendra’ or Aadhaar Centre nearest to them in order to make a request. 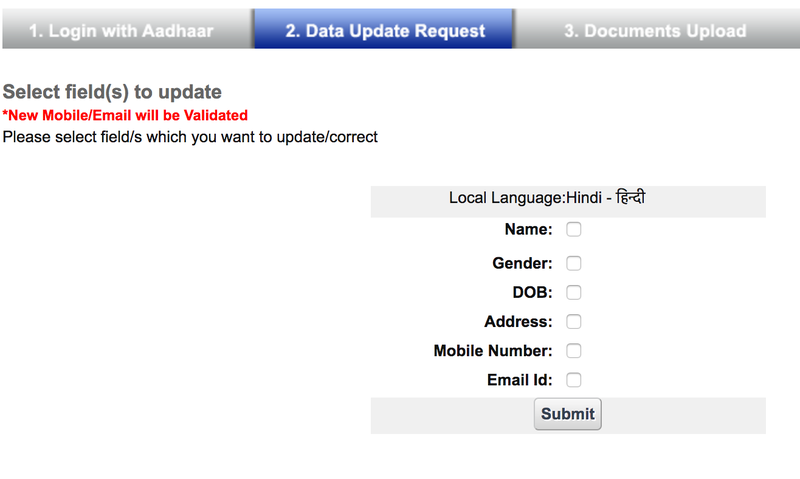 Visit the official website of UIDAI and ‘Address Update Request (Online)’ tool. You can find the link here: https://ssup.uidai.gov.in/web/guest/update. Now enter your 12 – digit Aadhaar number and click on the ‘Send OTP’ option, which you will receive on your registered mobile number by the Aadhaar system. Now on the next page, you are required to select ‘Address’ and proceed by clicking ‘Submit’ button. 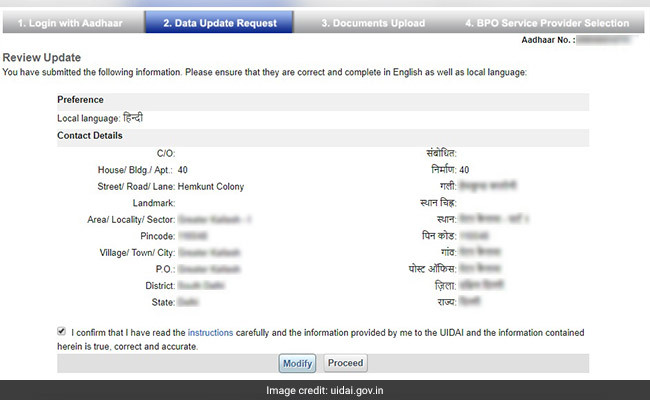 Now on the next page, the UIDAI website enables the user to check the entries. Now select from the available service providers and proceed. 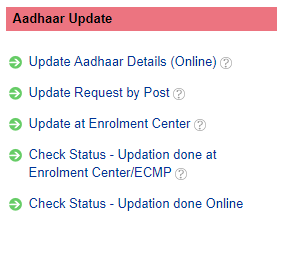 At this stage, the UIDAI portal also displays the estimated time required to process your request. And finally at the time of submission, a URN (Update Request Number) will be issued. And this URN will be used to track the status of your request. Also please note that the bills for water, telephone and electricity must not be older than three months. Aadhaar card is a 12 digit unique identification number issued by the UIDAI (Unique Identification Authority of India) which is also backed by the Indian Government. The Aadhaar card can be availed by the Indian residents above the age of 18 years. India is moving towards digitization and government have taken numerous steps to ensure this. In additions to that, government have also introduced e – Aadhaar, which is a 12 digit alphanumeric identity provided by the UIDAI (Unique Identification Authority of India). This card is considered to be the digital Aadhaar card which is available online. E – Aadhaar card has the same validity as Aadhaar card. Now you will be required to enter your 12 digit Aadhaar number and in case if you haven’t received your Aadhaar number yet, you can enter your 28 Digit Enrollment ID provided by the Aadhaar Enrollment Center. 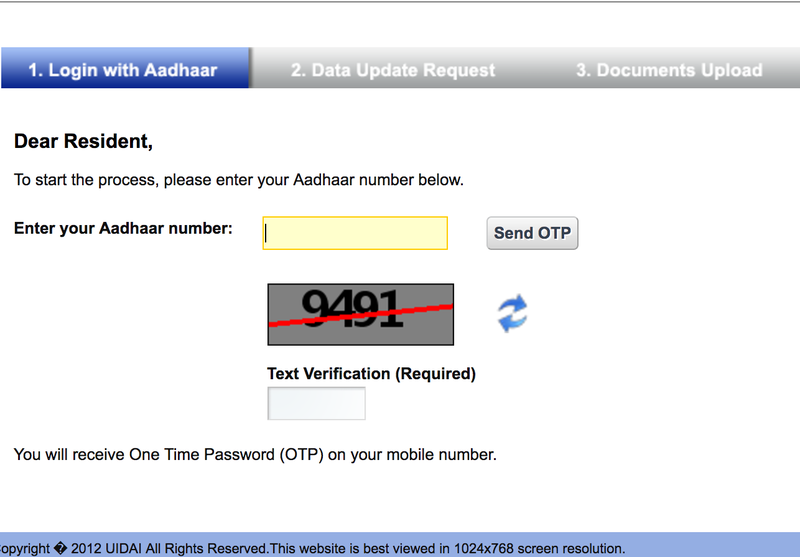 In this step, enter OTP that you have received on your registered mobile phone number and download your e – Aadhaar. Once you have downloaded your e – Aadhaar, look for that in downloads folder. Or you can check the PDF in your browsers download section, just type “CTRL + J” to open download section in chrome. This PDF is password protected. Hence, you will have to enter your password in order to open the PDF. Earlier, the applicants were required to use Pin code as password as e – Aadhaar is password protected. However, UIDAI has now changed the downloading procedure. 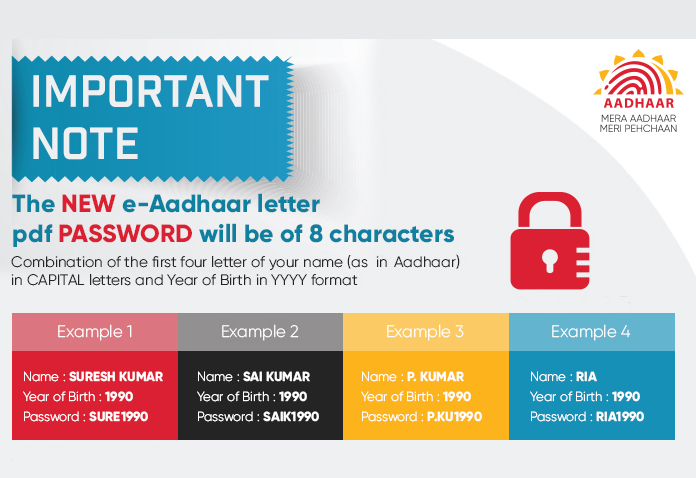 It has introduced a new password format which is an eight digit password and it is a combination of first four letters of your name and year of birth and it should be in capital letters. Hence, instead of six digit pin code, applicants are required to enter eight digit passwords in the mentioned format. Aadhaar is a 12 digit Unique Identification Card issued to every eligible individual of India. As Government has mandated this document in order to avail subsidized Government schemes and it is also required for all the financial transactions and filing Income Tax Returns (ITR), it has become a must have document for everyone. If someone doesn’t possess an Aadhaar card yet, visit an enrollment center and apply for it immediately. To make the procedure easy and convenient for the common people, the UIDAI has opened several Aadhaar enrollment centers in the country which are present in almost every region in the country and are run by registrars appointed by the UIDAI. At present there are more than 25,000 Aadhaar enrollment centers across the nation. Now, one can easily locate Aadhaar enrollment centers on UIDAI website where it has listed the addresses of all the Aadhaar enrollment centers. One can search the Aadhaar enrollment center by state. Select your state from the drop down list. Next, select your district from the list.Choose your sub-district, if any. Move to the next selection- Village Town City (VTC). Select the area for which you need the information. Put the captcha code and click ‘Search’. The list of all enrollment centers coming under the purview of that Pin Code will appear on the screen. CGHS / ECHS Photo Card, etc. Credit Card Statement (not older than 3 months), etc. The UIDAI had also asked the Public and Private Sector banks to start the enrollment process in at least one out of the ten branches. Once implemented there will be more than 12,000 Aadhaar Enrollment Centers in the country.